Operates from 7 a.m.‐11 p.m. daily at Avery Park, Darree Fields, and Emerald Fields and is scheduled to operate at the North and South Pool and the Ballantrae Spray Park during their normal operating hours. 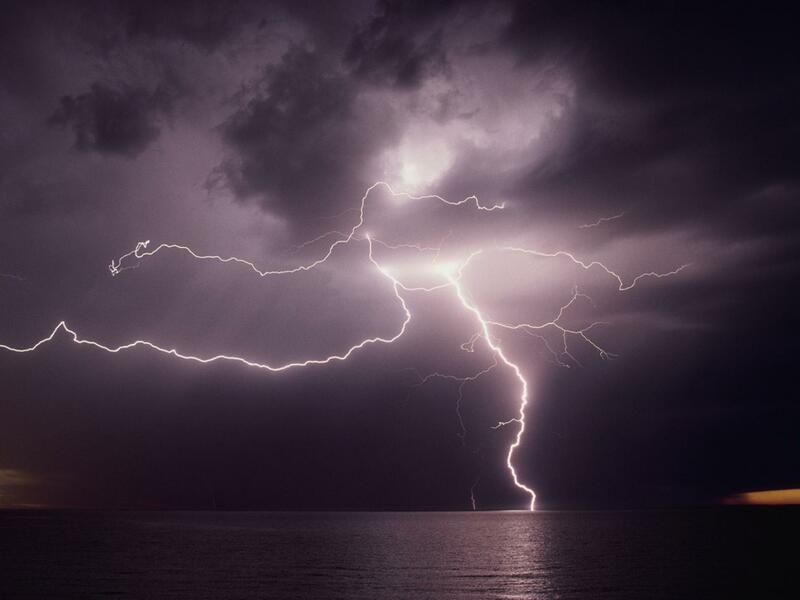 The Thor Guard system is a lightning “predictor” which measures and analyzes the electrostatic field in the atmosphere and ground to predict the risk of a possible lightning strike. The system consists of sensors placed at the park and pool sites that measures electrostatic changes at ground level and in the atmosphere. When the two charges become very diverse, the chances of lightning increase significantly. Once the system has predicted a possible lightning strike, the system will emit a loud horn. This continuous 15‐second horn signifies that the park or pool is under red alert conditions, meaning that there is a 97 percent chance that lightning will strike within two miles of the park or pool. This horn is 8‐20 minutes in advance of a probable lightning strike. In correlation to the horn sounding, an amber strobe light will blink the entire time the area is under red alert. This will warn patrons who arrive at the park after the 15‐second horn was activated of possible lightning strikes. When the system emits the horn, warning people of a possible lightning strike, take appropriate shelter. When the system goes off, you will hear a loud single-monotone beep and the light on top of the building will be illuminated. Please check this indicator light when you arrive at the park. It stays lit up until it’s safe to play. Head to a safe place immediately. By heading to a safe place 5‐10 minutes sooner, you could avoid being struck by lightning. Examples of a safe place include home, school, church, hotel, office building, shopping center, and a hard‐topped car, minivan, bus or truck. When it is safe to resume outdoor activities, the “all‐clear” signal will sound three consecutive 5‐second horn blasts and the amber strobe will then shut off. Do not use electrical equipment when inside a building during thunder and lightning. Avoid contact with other electrical conductors inside a building (i.e. plumbing, metal doors or window frames). Each year in the U.S., more than 400 people are struck by lightning. On average, between 55 and 60 people are killed and hundreds of others suffer permanent neurological disabilities. Most of thesetragedies can be avoided with a few simple precautions. When thunderstorms threaten, get to a safe place. Lightning safety is an inconvenience that can save your life.